a berth with a view. Inaugurated in 1997, Marina Molo Vecchio is located in Genova Old Port area, that is one of the main leisure zones in Genoa. Here you will find cafes, restaurants, shops, cinemas, a swimming pool in summer, a skating rink in winter, the famous Aquarium and, behind it, the biggest historic centre of Europe . Our quays, located along the Molo Vecchio and the Aquarium dock can harbor boats from 5 to 150 meters in length, supplying every berth with water and shore power. 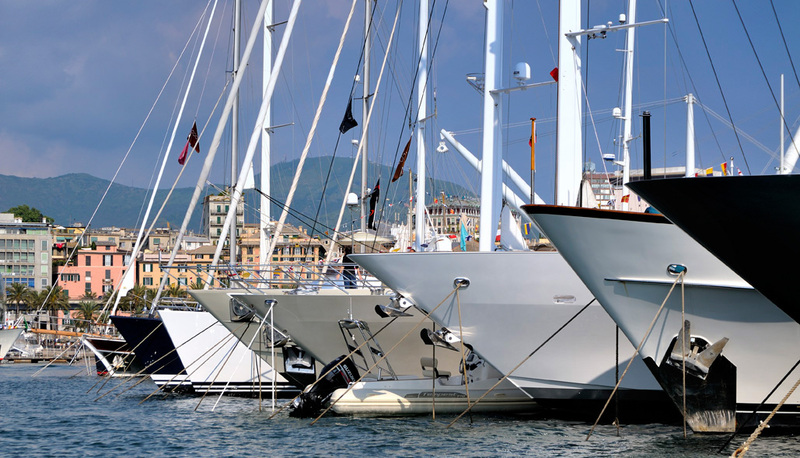 The 450 mt Molo Vecchio dock can give berth to 47 yachts from 22 to 90 mt stern to, as well as host a 150 mt yacht alongside on the section dedicated to bigger yachts and passenger ships, endued with ISPS Security Plan. Each berth here is equipped with water, shore power (from 63 to 600 Amps) and fast internet connections. 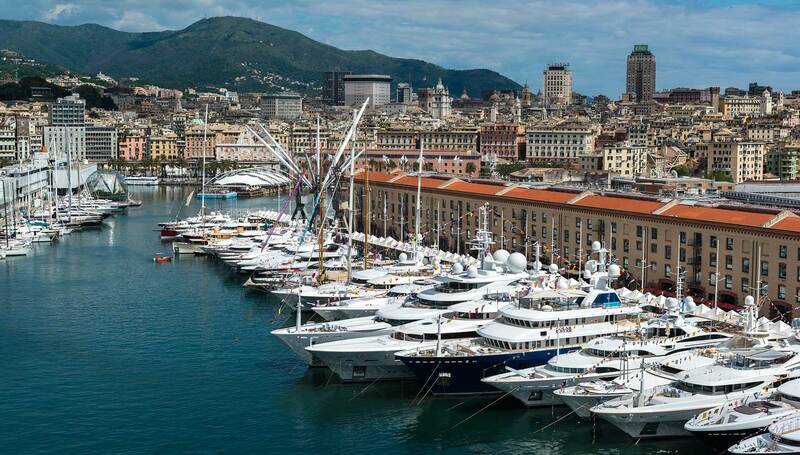 Since 2001 Marina Molo Vecchio has been hosting the annual MYBA Charter Show, the most important event dedicated to the luxury charter yachts in the Mediterranean Sea. The proximity of shipyards specializing in the repair and refurbishment of luxury yachts makes Marina Molo Vecchio a perfect long-term base. Thanks to the possibility of being assisted by a long experienced maritime agency like Pesto Sea Group, getting high quality provisioning and fuelling directly on the dock, Marina Molo Vecchio also represents an ideal stopover during the cruising season. Marina Molo Vecchio is not only for Luxury Yachting. 100 berths are dedicated to boats from 5 to 18 mt and for them we propose very advantageous rates, especially for long term contracts. Water and shore power are included in the berthing fees as well as the use of warm showers and toilets. VAT Excluded Shore power and water consumptions included. Every berth is supplied with drinkable water and shore power (220 – 380 Volts; 16 – 600 Amps; 50 Hertz). Fast internet cable connection on the main dock. Wi-Fi internet for all MMV clients. Access passwords must be required at MMV office. We can receive mail (if not subject to custom duties) on behalf of the yachts. Copy, fax and print service available. Weather forecast on loop 24 h a day displayed on a screen outside MMV office. 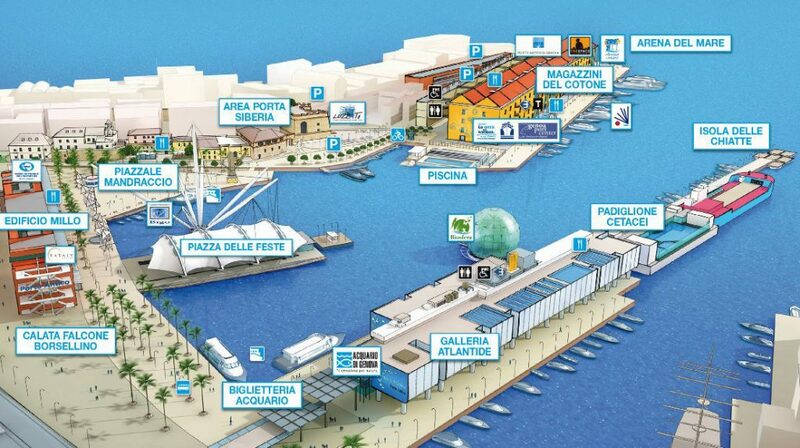 A magnetic parking-card included in the berthing fee gives free access to our private parking area along Molo Vecchio. Marina Molo Vecchio manages the only slipway in the city for launching and hauling small boats. The first crane in Genoa created to gently move people from their wheel chair onto the boat. BBQ and table-football available on the dock. Updated lists of events, clubs, activities can be found at MMV office. Discounts for crew who rent apartments at Pesto's Place. Book your fuel, oil or black waters pumping through our “sister company” Femo Bunker. 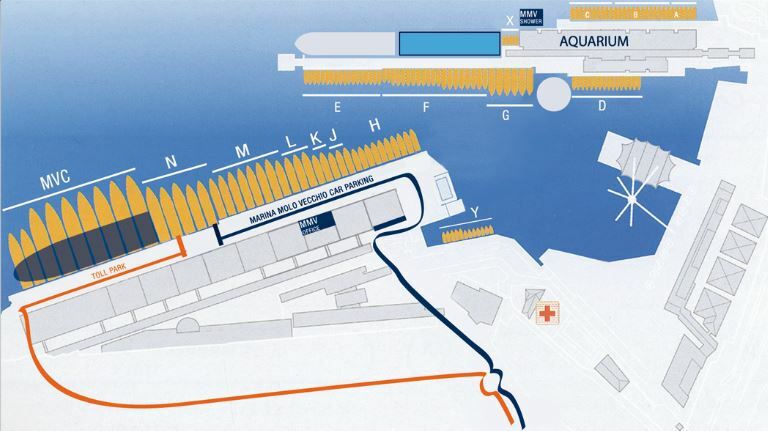 The extension of the main dock (Molo Vecchio Crociere) can give berth alongside to yachts and passenger ships up to 150 mt in compliance with the International ISPS Code and Security Standards. Marina Molo Vecchio is ideally situated geographically, being 11 miles from Portofino and only a 15 minutes drive from Genoa International Airport. © 2019 Marina Molo Vecchio s.r.l.